For some, his passing on Thursday at age 95 is horribly painful because they consider him divine. For others, a today without Mandela is a much less dignified and gracious day than yesterday. The legacy he leaves, though, is one so deep, rich, and interesting that South Africa will continue to benefit from his remarkable achievements for decades ahead. A Mandela tourism industry, a phenomenon that was only budding three years ago during the World Cup, seems poised to flourish. 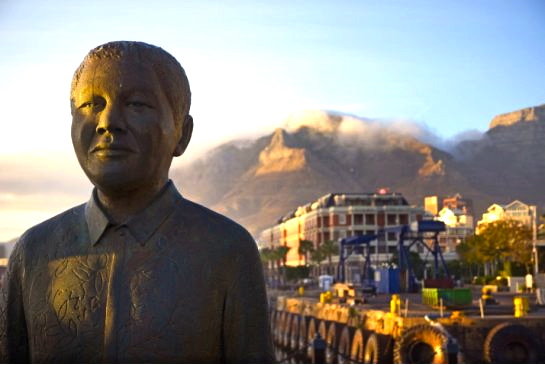 These are the five Nelson Mandela attractions visitors to South Africa will have to make a point of seeing. This 12-square-kilometre dot of sand and limestone is where Mandela was imprisoned for 18 years of incarceration. The island is three kilometres off the coast of Cape Town and for many years was miles from humanity. It became known as Mandela University, because the lawyer would educate both inmates and prison guards. Tours that include a round-trip ferry ride and a discussion by a former prisoner cost 400 rand (about $43). From those ex-inmates, you learn about the degradation of apartheid that occurred inside the prison, where the subordination of black political prisoners was constantly reinforced. Prisoners who were Indian or mixed race, for example, would be given six ounces of meat with their dinner, the blacks five. Mandela’s prison cell attracts a crowd, making it the only lock-up in the world people are eager to get into. They can’t. Its bars remain shut but visitors can step into a similarly cramped pen a few cells down the tight hallway that fills with echoes. Just about everyone who walks in spreads their arms to get a sense of the space. You’ve been in walk-in closets that are larger.